Today’s devotional is from Shelly and we are excited to share in her joy that she has her first two books published. They are called You’re Chronically Ill . . . So Now What? and Your Loved One is Ill . . . So Now What?. 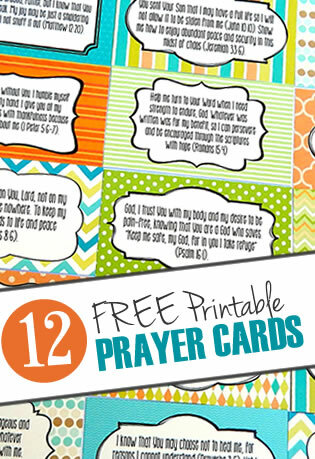 We are thrilled to be able to carry them in our shop and the proceeds benefit Rest Ministries. So . . . onto today’s devotional! We say we rely on God’s strength but Shelly reminds us how to truly, fully rely on His strength when we are most fearful. May you be blessed. “I am not saying this because I am in need, for I have learned to be content whatever the circumstances. I know what it is to be in need, and I know what it is to have plenty. I have learned the secret of being content in any and every situation, whether well fed or hungry, whether living in plenty or in want” (Philippians 4:12). Learning to be content. Tall order most days, right? At least it is for me. Most days I struggle to even believe that I can do this . . . whatever this is. I need to remember that there’s another verse there, and it’s the verse that holds the key. And I wasn’t just saying it. No, I meant it with every fiber of my being. I shouted it into the night with panic lacing my voice. But, I could . . . There was not a doubt in my mind that I could not manage chronic. I knew it in my bones that daily pain was impossible to endure. Prayer: Lord, please keep pouring Your strength into our worn-thin places. We can do this, because we are not alone. In Jesus’ Name, Amen. What are you facing right now that you feel you cannot do? Do you remember that you have the strength of Christ? 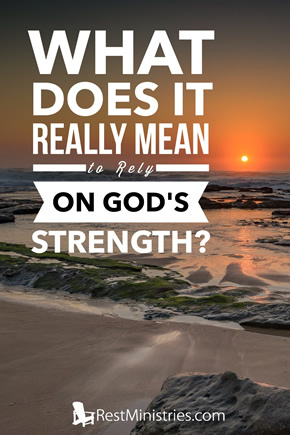 6 Responses to What Does it Really Mean to Rely on God’s Strength? Lots of days are really hard and I can’t even imagine doing it without God’s strength. I would like to comment more, but just signing in is complicated for me some days. I wish we could sign in once and have it covered. I had a 17 hour brain surgery 10 years ago, and one could say, in view of that, I am doing well. I don’t have much physical pain, just some fibro stuff that keeps me from sleeping. One side of my body is lame causing some issues, but my heart is on that side and God must have wanted me to live thru this because I begged Him to take me in the hospital. I had a 1% chance to live when I was born…but here I am in living color 64 years later. I have 2 yorkies and a cat who are great little helpers in lonliness. I manage to live on my own, tho I have had to downsize. A few years ago, about 4 or so, I started getting really frustrated with all my complications, so my daughter came to move me to her place. Her husbands leukemia came back and it was too complicated for me to live in the chaos there. I live in a county that has the greatest social services and everybody there helps me alot! In my alone times, Jesus gets me thru. I couldn’t do any of this without Him. Shelly – loved how you shared this reality. I can think of nothing I do that is NOT God’s strength helping me move among other activity. While I am so engaged, He is so real that it is as if I am not “there” at all for all I “feel” is the weakness but then there is the strength and joy. It is beyond human understanding unless we have experienced Him in these ways. I can’t say it enough – congratulations for the publication of your books. What a testimony to what you have just written. I know it is not only His gift to you to write so beautifully – but His strength to you to get it done and out and now OUT to so many more who will be blessed as the read. I am so happy Lisa can carry your book here at RM in their store for the readers to get word about it being available. HOORAY! Thank you, sweet Lynn!!! <3 Your friendship is such a balm to me. You are SO right about His intervention being beyond human understanding unless we have experienced Him in these ways. Perfectly said. And in light of that, how blessed we are!!! Wow. Much to contemplate. Oh Shelly!! Your devotional made me teary from the first few words, then I began gut-wrenching tears that came out of nowhere! You’ve touched a really deep chord in me (via the Holy Spirit) that needed to be touched tonight during a tough time living away from my family, to avoid chemicals from house renovations, while our house is being sold. I’m typing through tears, as tonight’s situation, that is too complex to explain, has had me feeling totally useless & really lonely!